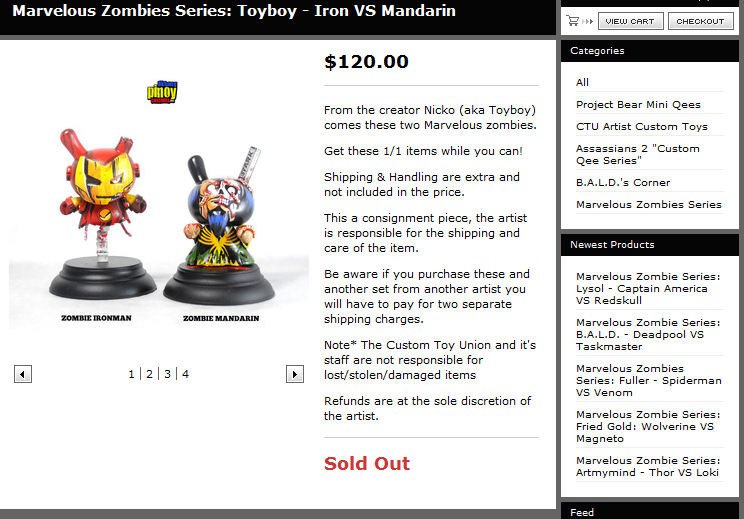 Likhang.Pinoy.Customs: CTU Marvelous Zombies Dunny Series - SOLD OUT!! CTU Marvelous Zombies Dunny Series - SOLD OUT!! CONGRATS to the organizers and artist/customizers involved in the CTU Marvelous Zombies Custom Dunny Series. All sets SOLD OUT in less than a day. And I'm sorry that I'm late on announcing the day and time of release. congrats. missed it. sayang. that zombie iron man rocks! thanks sir pat. uu nga eh nalimutan ko din ipost yung date and time. sorry. Coming Soon for the month of August.